TUCSON, Ariz. - April 15 is the final day to file and pay your 2018 taxes. If you're one of the nearly 50 million Americans who waited for the last day to do so, the biggest tip of advice the IRS has for you is to simply get your taxes filed. If for any reason you can't get them filed by the deadline there are a few options offered. You can apply for an extension from the IRS , which gives you six months to get your taxes filed. "It's important for the tax payer's who are filing extensions to know they have until October 15th to file their full return," said Maria Swailem, a professional tax preparer. Extensions can either be filed through a program called "Free File", which is typically offered by a tax preparer or through a 4868 form , which you can print off the IRS website and mail to IRS. "Tax payer's who owe to the IRS and they cannot pay for the amount in full, they can do installments," said Swailem. 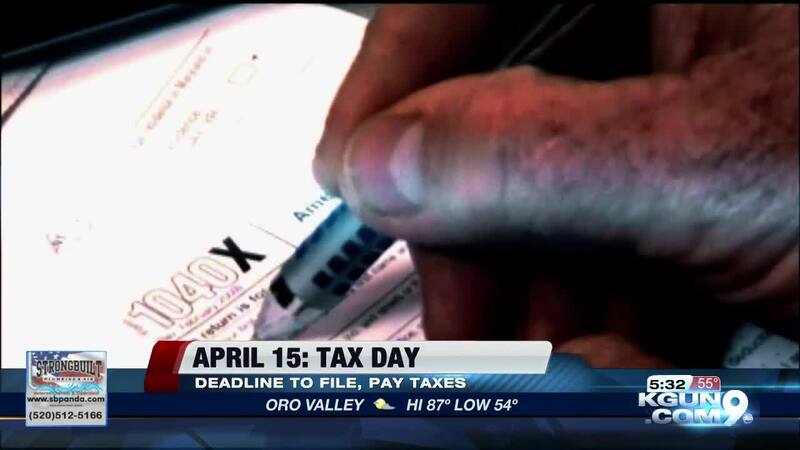 RELATED: Tax Day: Is it better to file now or ask for an extension?